Keep your baby safe and close with you at all times with your hands free. 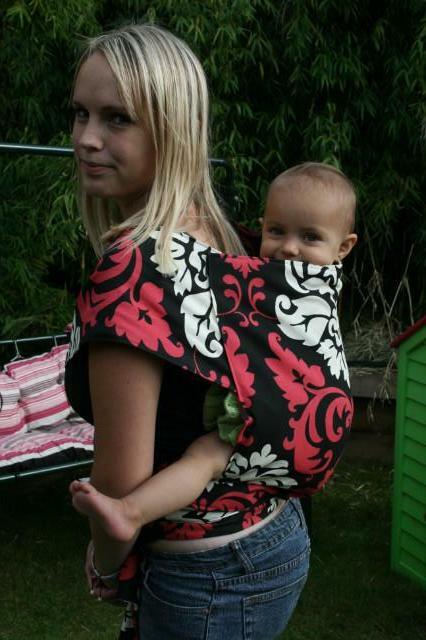 Wear your baby on your front or back. An optional sleeping hood can be added. 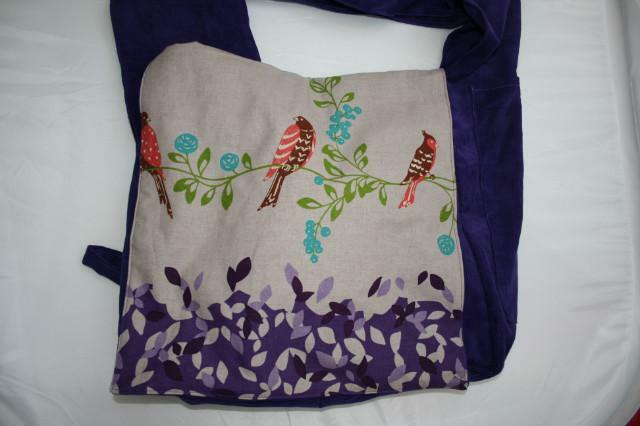 The mei tai can be customised with embroidery. These mei tais are custom designed to your specifications. Prices start from £55. Fabrics will be ordered in especially so you can choose whatever design you want. Disclaimer: This is a hand-made item. While great care goes into the design and creation of each baby sling, Queen Bee's Hive accepts no responsibility in the case of any injuries resulting from sling usage. By purchasing this sling you are agreeing to the above Disclaimer. interested in your sling bags...have you got any pics of what they are like? what fabrics you can use? how much they are? etc etc! !